ZIP Codes, five-digit numbers that represent small areas of the United States, were created by the United States Postal Service in 1963 to aid in the efficiency of delivering the ever-increasing volume of mail. The term "ZIP" is short for "Zone Improvement Plan." During World War II, the United States Postal Service (USPS) suffered from a shortage of experienced laborers who left the country to serve in the military. In order to deliver mail more efficiently, the USPS created a coding system in 1943 to divide delivery areas within the 124 largest cities in the country. The code would appear between the city and the state (e.g., Seattle 6, Washington). By the 1960s, the volume of mail (and population) had dramatically increased as a vast majority of the nation's mail was no longer personal correspondence but business mail such as bills, magazines, and advertisements. The post office needed a better system to manage the huge quantities of material that moved through the mail each day. 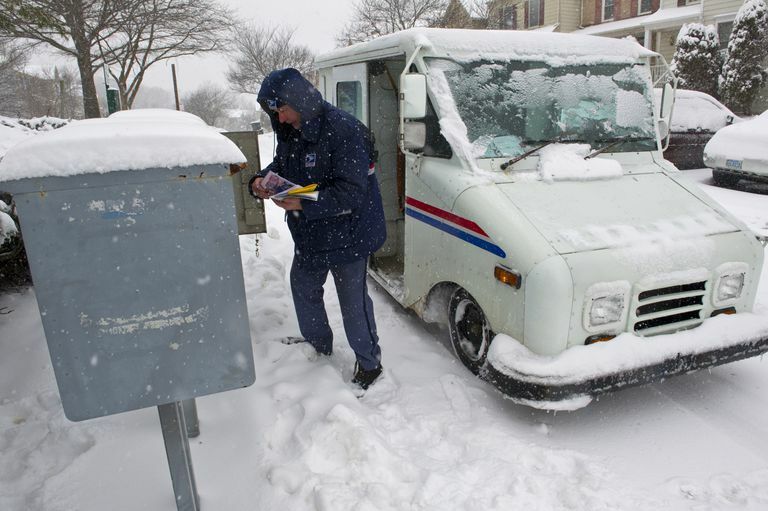 The USPS developed major mail processing centers on the outskirts of major metropolitan areas to avoid the transportation problems and delays of transporting mail directly to the center of cities. With the development of the processing centers, the United States Postal Service established ZIP (Zone Improvement Program) Codes. The idea for a ZIP Code System originated with Philadelphia postal inspector Robert Moon in 1944. Moon thought that a new coding system was needed, believing that the end of mail by train was soon to come and instead, planes were to be a huge part of the mail's future. Interestingly, it took nearly 20 years to convince the USPS that a new code was needed and to implement it. ZIP Codes, which were first announced to the public on July 1, 1963, were designed to help better distribute the growing amount of mail in the United States. Every address in the United States was assigned a specific ZIP Code. At this time, however, the use of ZIP Codes was still optional. In 1967, the use of ZIP Codes was made mandatory for bulk mailers and the public caught on quickly. In order to further streamline mail processing, in 1983 the USPS added a four-digit code to the end of ZIP Codes, the ZIP+4, to break ZIP Codes into smaller geographic regions based on delivery routes. The five-digit ZIP Codes begin with a digit from 0-9 that represents a region of the United States. "0" represents the northeastern U.S. and "9" is used for the western states (see list below). The next two digits identify a commonly linked transportation region and the last two digits pinpoint the correct processing center and post office. ZIP Codes were created to expedite mail processing, not to identify neighborhoods or regions. Their boundaries are based on the logistical and transportation needs of the United States Postal Service and not on neighborhoods, watersheds, or community cohesion. It is troubling that so much geographic data is based and available based only on ZIP Codes. 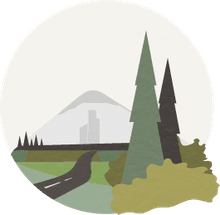 Using ZIP Code-based geographic data is not an excellent choice, especially since ZIP Code boundaries are subject to change at any time and do not represent true communities or neighborhoods. ZIP Code data is not appropriate for many geographic purposes, but has, unfortunately, come to be the standard for dividing up cities, communities, or counties into different neighborhoods. It would be wise for data providers and mapmakers alike to avoid the use of ZIP Codes when developing geographic products but there is often no other consistent method of determining neighborhoods within the diverse geographies of the local political boundaries of the United States. 0 - Maine, Vermont, New Hampshire, Massachusetts, Rhode Island, Connecticut, and New Jersey. Total Number: As of June 2015, there are 41,733 ZIP Codes in the U.S.
Mr. Zip: A cartoon character, created by Harold Wilcox of the Cunningham and Walsh advertising company, used by USPS in the 1960s and '70s to promote the ZIP Code system. Secret: The President and the first family have their own, private ZIP Code that is not publicly known.